To successfully sell integrated product-services packages to end-customers, ABB asked us to redesign the buying experience of low power AC drives and services for their partner network. ABB (ASEA Brown Boveri) is a Swedish-Swiss multinational corporation operating mainly in robotics and the power and automation technology areas. ABB is one of the largest engineering companies as well as one of the largest conglomerates in the world. In a heated low power AC drives market, ABB was looking for ways to leverage digital channels to better sell integrated product-service solutions to their customers. As the ABB partner network is an important channel for doing so, the company asked us to come up with a solution that would make it easier for them to buy and sell product-service packages. 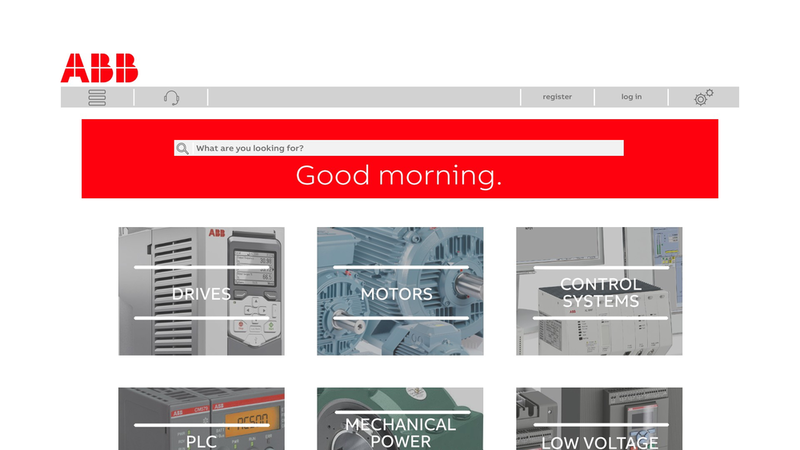 Redesign the buying experience for ABB customers to make it easier and more pleasant for them to purchase ABB low power AC drives. Target markets were Finland, Sweden & Germany. After an initial research phase in which we familiarized ourselves with the low power AC drives market in general, we started to benchmark best practices in B2C and B2B e-commerce solutions. Moreover, we looked at scientific literature to gain insight into the differences in buying behavior between B2C and B2B markets. To learn more about the status quo and existing processes inside ABB, we talked to sales and business development staff in Finland, Sweden, and Germany. 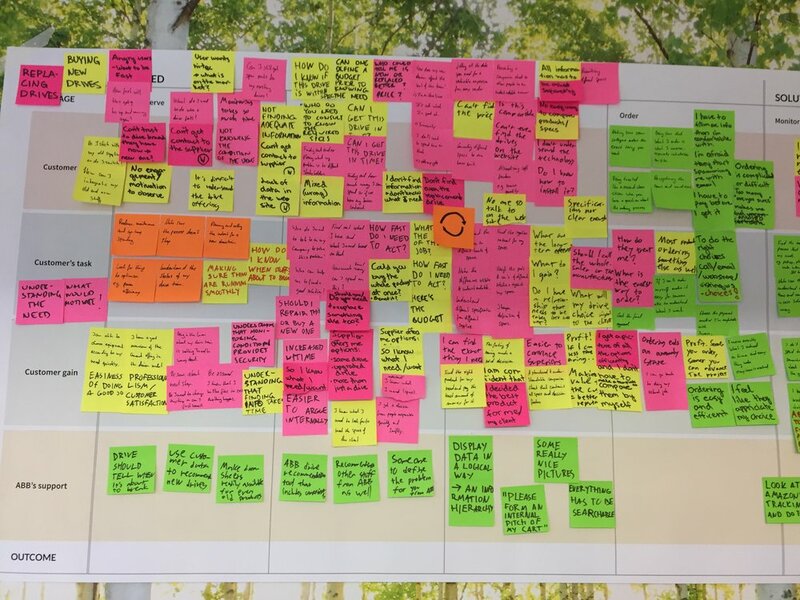 Not only did we gain insights into current opportunities and challenges, it also enabled us to develop a first set of hypotheses that we could test with customers at a later stage. After spending a lot of time in workshops to develop interview questions based on a hypothetical customer journey, we went to Köping in Sweden and Tuusula in Finland to talk with ABB partners. We learned about their processes, expectations, and wishes for ABB's offerings for them. 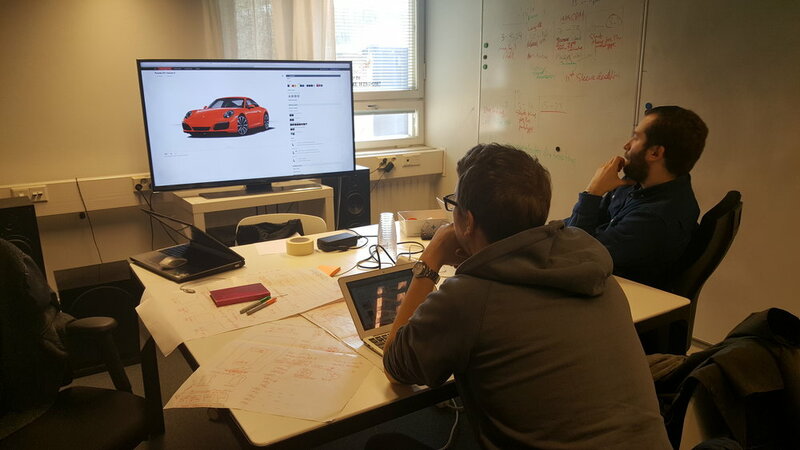 Completing four interviews with various partners, gave us plenty of insights to start prototyping. 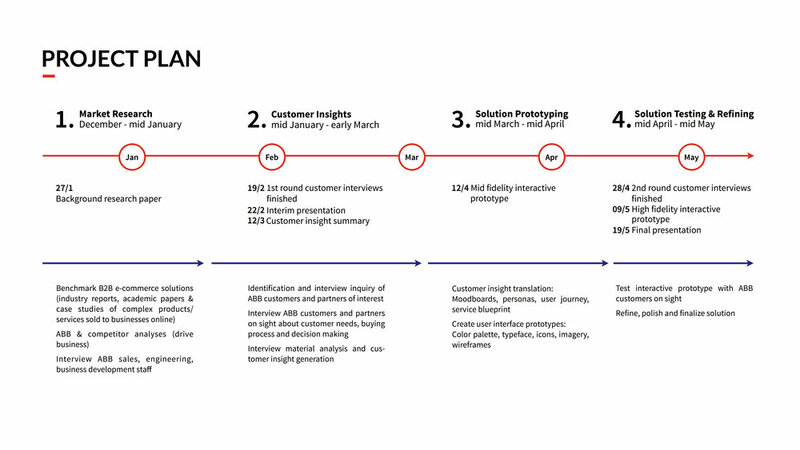 To translate business challenges, customer insights, and learnings from our desk research into one artifact, we started to develop an interactive prototype that would showcase the major steps of a revamped customer journey for ABB partners. 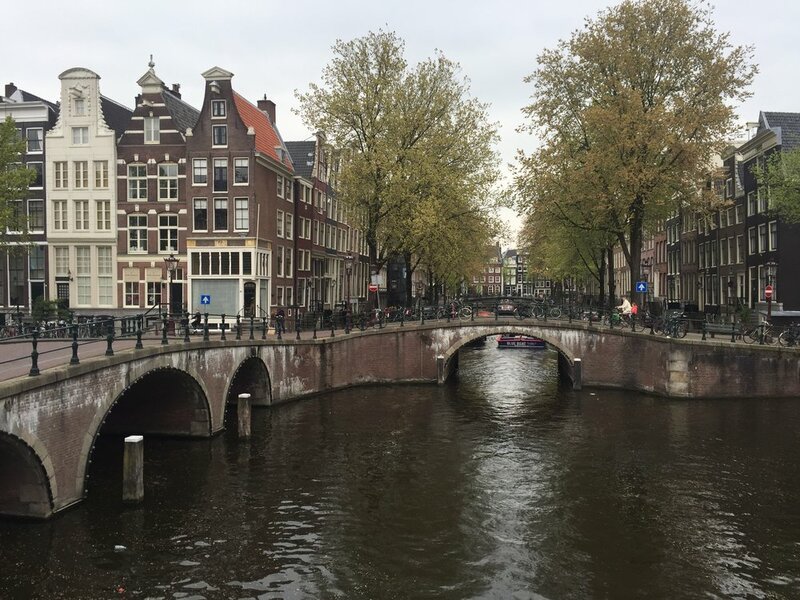 During the last stage of the project, we went back to ABB partners in Finland and the Netherlands to test whether what we had developed would benefit partners in their daily work. Naturally, we did not get everything right on the first try but the prototype enabled us to have great discussions about details and further optimizations. The final result of our project was a high fidelity interactive prototype of a web-based solution that had been validated and tested with customers in the target markets. It is based on well researched and validated customer insights and illustrates major purchase funnel steps and features.